Hear what two bold-faced names associated with the new ship have to say: Grammy Award-winning flautist Nestor Torres is the first renowned musician to play in the ship’s new Grammy Experience show lounge; Buddy Valastro is the star of TLC’s “Cake Boss” and the man behind the ship’s amazing Italian-American bakery. Update: As of Summer 2015, Norwegian is no longer partnered with Buddy Valastro. This ship has a variety of spaces that celebrate her home port. Come with us for a tour! Norwegian Getaway: Which cabin is right for you? 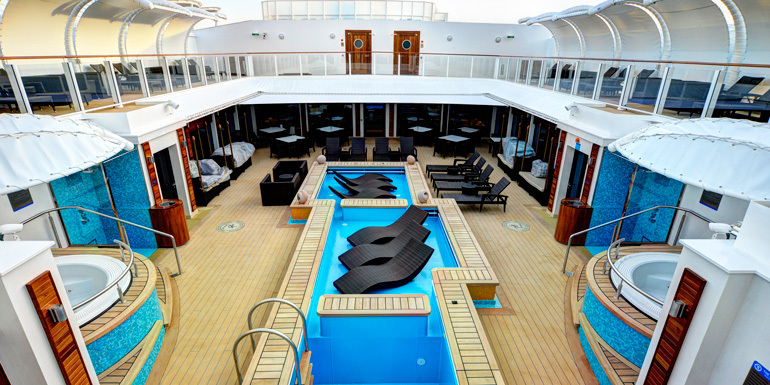 This 3,969-passenger ship has 26 different cabin categories. So how do you decide which one is right for you? Our tour can help! What's your favorite feature on Norwegian Getaway?